Amazon Today Gold box deal is Over 60% Off Select Kingston Solid-State Drives. 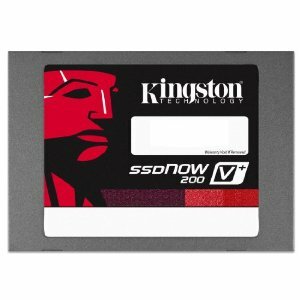 Today only, get over 60% off select Kingston V+200 solid-state drives. Upgrade your desktop or laptop with these solid-state drives, which feature SATA 3.0 SandForce processors for read and write speeds up to 535 MBps and 480MBps, respectively. Enjoy swift start-up of your operating system, rapid data access, and quick copying of large files such as videos, presentations, and graphics.